WooHoo! Two Little Free Libraries in a row. Tacoma has a couple of dozen Little Free Libraries which were part of the Little Free Library Project. This Little Free Library was created by a grandfather/granddaughter team is located on the south side of N. 22nd between North Hudson Street and North Ferdinand Street. This “Little Free Library” is unusual in that it has a two toned blue paint job and some kind of sports boards attached to the side. Inside there are over a dozen books. To promote literacy and the love of reading by building free book exchanges worldwide. 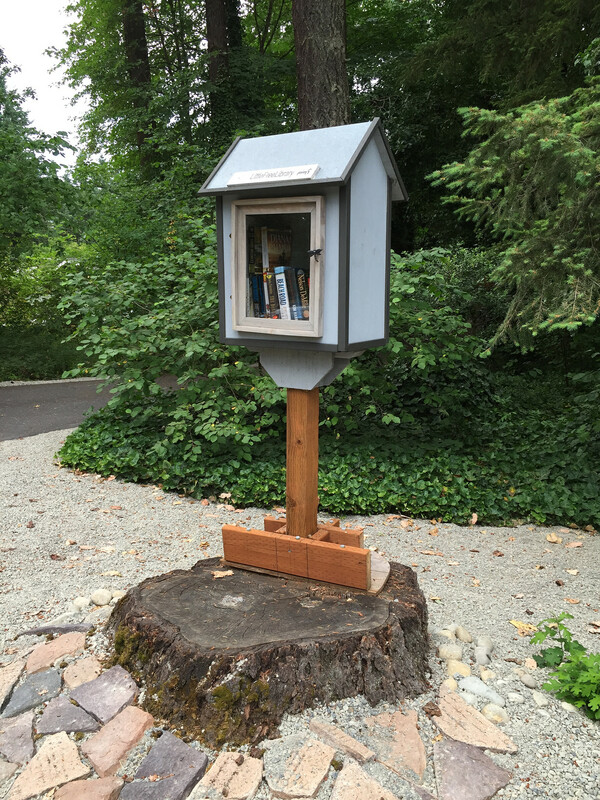 This entry was posted in Books (Libraries and Bookstores), Little Free Library, Tacoma, WA State - Pierce County and tagged books, Community, free, house, libraries, library, Little, Little Free Libraries, Little Free Library, neighborhood, Tacoma on June 30, 2015 by admin. Back in November of 2012, Tacoma had two little free library, which were part of the Little Free Library Project. Now there must be a couple of dozen little free libraries and Lakewood, WA has two. 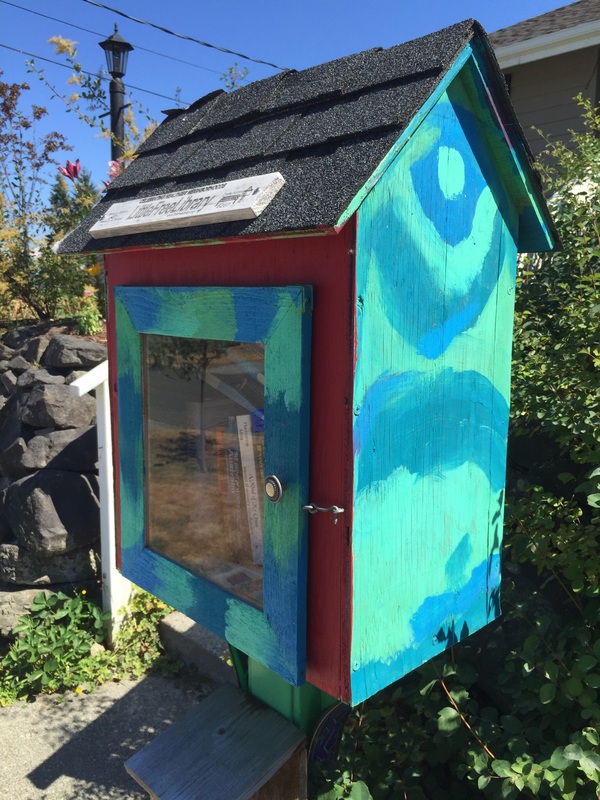 This “Little Free Library” is located at 10317 Interlaaken Drive SW, Lakewood, WA. It is unusual in that it is attached to a tree stump and has a darling dragonfly handle. Inside there are about a dozen books, but none for me today. This entry was posted in Books (Libraries and Bookstores), Lakewood, WA State - Pierce County and tagged books literacy, Community, Dragonfly, free, growth, Lakewood, libraries, library, Little, Little Free Libraries, Little Free Library, Mission on June 29, 2015 by admin. Driving home from Brown’s Point the other day, I stopped to admire the view along Marine View Drive. The information sign told me that I was enjoying the Skookum Wulge Beach Habitat Restoration, a 1.19 acre parcel of uplands and tidelands of Commencement Bay that had previously been the Meeker Log Storage lease. When the lease expired in 1999, the property was purchased and the title conveyed to the Puyallup Tribe. The site was renamed to Skookum Wulge, which translates to powerful salt water. There are two other sites in this project, Yowkwala and Squally Beach. For more information on the Skookum Wulge, go here. 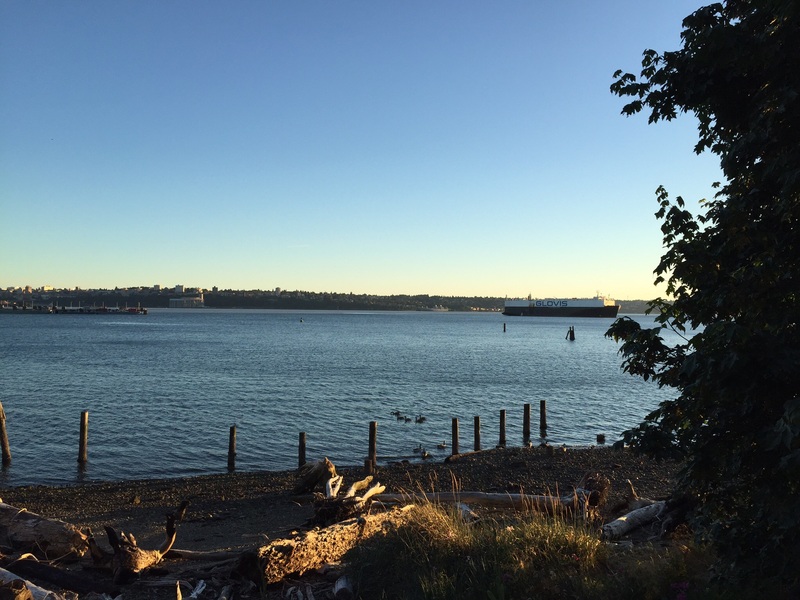 This entry was posted in Parks, Tacoma, WA State - Pierce County and tagged beach, Brown's Point, Commencement Bay, Glovis, Marine View Drive, Meeker Log Storage, Puyallup Tribe, restoration, ship, shore, Skookum Wulge, tidelands, wetlands on June 28, 2015 by admin. Today I enjoyed an impulsive lunch with my good friend. 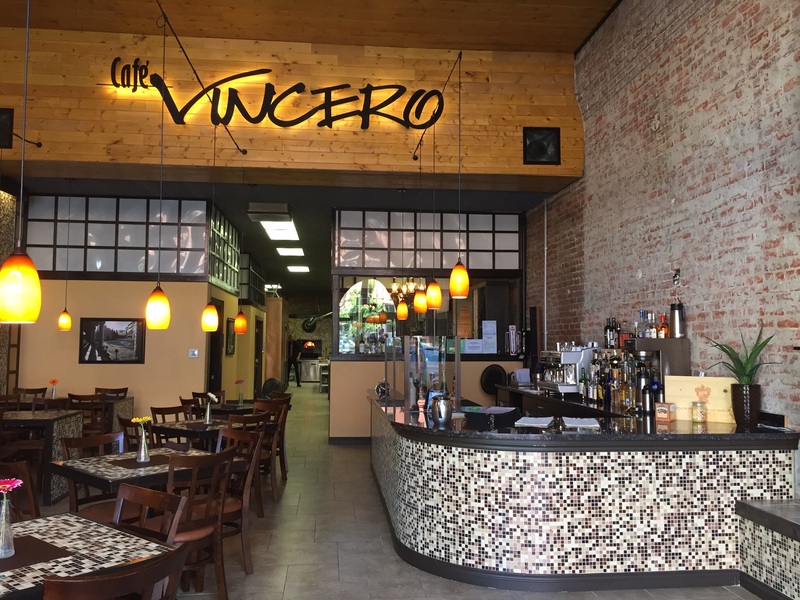 We went to a new to us place, Cafe Vincero at 714 Pacific Avenue in Tacoma. The Cafe pictures Italian dining and specializes in wood fired pizza. The space is lovely with the abundant tile working well with the historic building. Our waiter was attentive and funny! Because of a tiny mix up, which was graciously handled, we ended up with two pizzas. They were both delicious. Really, they were so good I would happily go back tomorrow! Sons Butchers’ Supply Co., United Service Organization (U.S.O.) and the Footprinters’ Club (seriously, what is a Footprinters’s Club?!). 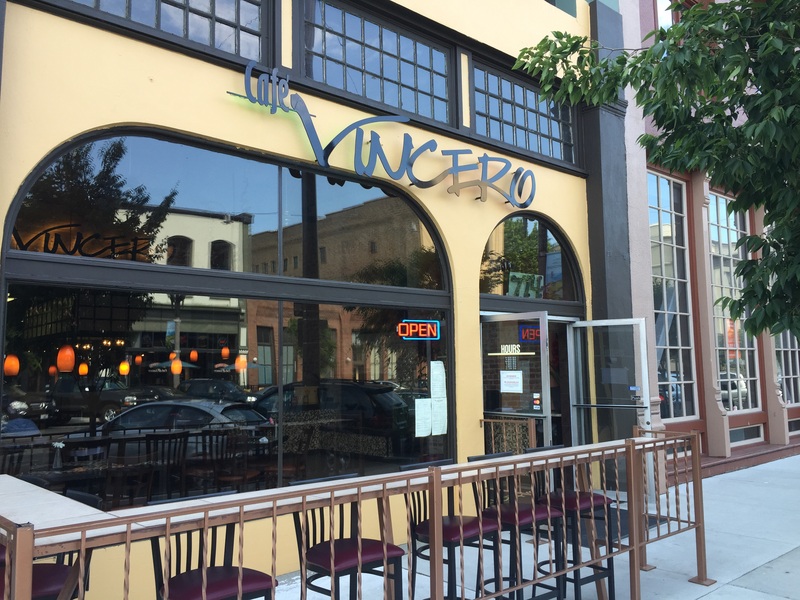 As of May 2014, the Vincero was in place on the Pacific Avenue level of the building. This entry was posted in Over 21, Restaurants, Sit Down Establishments, Tacoma, Uncategorized, WA State - Pierce County and tagged Cafe Vincero, downtown, Edward B. Rhodes Post - American Legion, Edwin Chambers Auto Supplies, Farrell & Darmer, Footprinters' Club, G.L. Holmes Furniture, Kaufman-Wolff, lunch, pizza, restaurant, Soldiers & Sailors Club House, Sperry & Spengemann, Sutherland Tire Co., Tacoma, United Service Organization, USO, Vincero, Wallerstein Candies, War Camp Community Service on June 27, 2015 by admin. 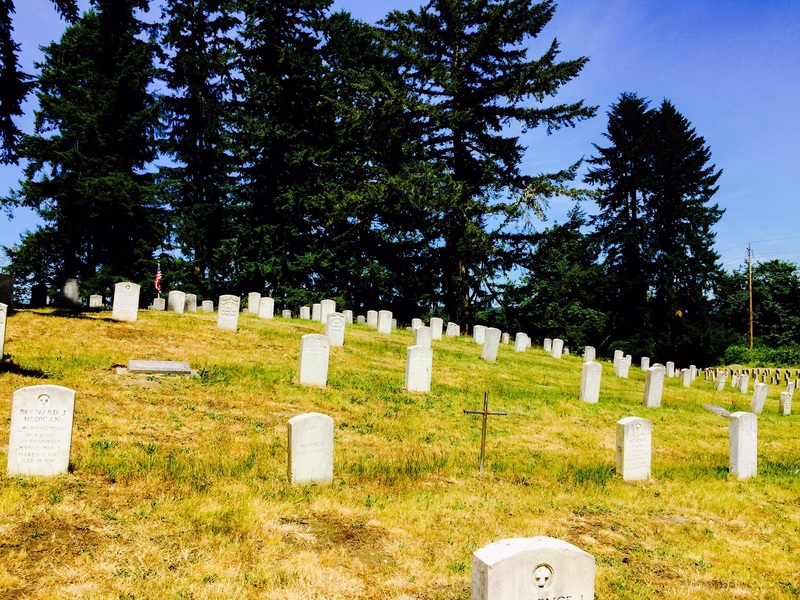 The Washington Soldiers Home Cemetery in Orting, Washington is associated with the nearby Washington Soldiers Home. There are 2,683 interments. The soldiers that are buried here fought in the Civil War through the Vietnam War and sometimes have wives and mothers buried next to them. While most of the soldiers are men, there are some women also. Four of the soldiers are Civil War Congressional medal of honor recipients. They are George L Houghton, Alexander U. McHale, Albert O’Connor, and William Sickles (pictured). For more information on this cemetery, you should go visit the real wonderful associated Facebook Page. The photos below also include one of Mt. Rainier from downtown Orting. This entry was posted in Cemetery, Historic Sites, WA State - Pierce County and tagged Albert O'Connor, Alexander U. McHale, army, Cemetery Washington Soldiers Home Cemetery, Civil War, Civil War Congressional medal of honor, George L Houghton, Korean War, navy, Orting, Spanish American War, Vietnamese War, Washington Soldiers Home, William Sickles, WWI, WWII on June 21, 2015 by admin.